Tatarian aster, or Aster tataricus ‘Jindai,’ is just one of the many varieties of aster you’ll find in bloom at the High Line this season. The plants’ distinctive lavender blooms are a sure sign that autumn has arrived at the park. The species Aster tataricus is one of the 50 fundamental herbs in traditional Chinese herbology, where its root has been used historically as an expectorant for respiratory infections. More recently, it has also shown to have strong antimicrobial properties, including inhibiting growth of staph bacteria and E. coli. 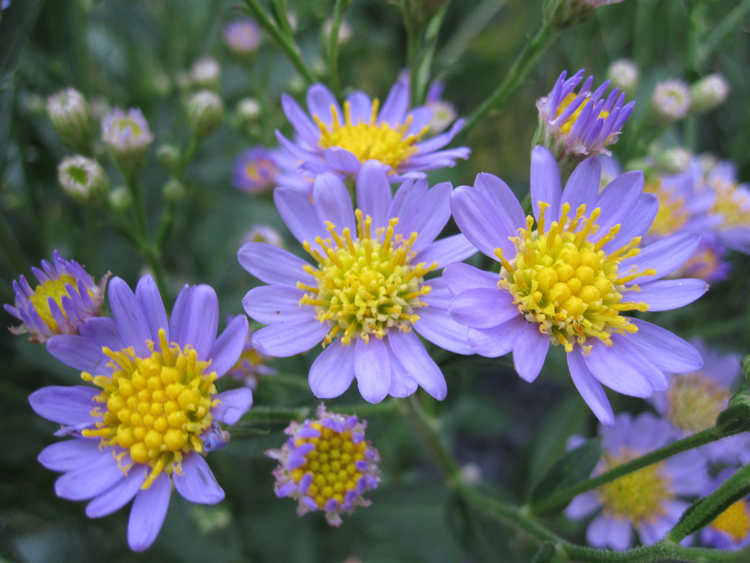 At the High Line, our asters, including tatarian aster, are a favorite of fall pollinators. Buzzing around the small purple-petalled blooms you’ll find Monarch butterflies and several varieties of bees. On the High Line between 13th and 14th Streets.